He also stole a pair of firefighter's pants. SCOTT, Que. 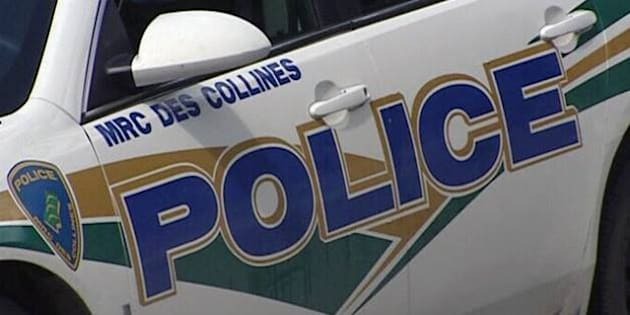 — A Quebec man who police say ran away and jumped in a river when officers tried to give him a breathalyzer test will face several charges. Quebec provincial police Sgt. Claude Denis said the man was pulled over early Sunday morning after cutting off a patrol vehicle. The 29-year-old suspect then jumped in the river near the town of Scott, about 45 kilometres south of Quebec City. Denis added that authorities believed the man may have been inebriated at the time. He said the suspect was arrested several hours later after he was spotted walking down the road wearing wet clothes that included a stolen pair of firefighter's pants. Investigators believe the man broke into the shed where the clothes were stored after he escaped from the river. The suspect, who is known to police, will remain in custody pending a court appearance on Monday. He is expected to face a number of charges including obstructing police, refusing to undergo an approved screening device, break and enter, theft and mischief.